Where style has no expiration date. Style isn’t superficial. It’s essential. It’s a way of showing up in your day in the best possible way, authentically and confidently you. And a confident sense of style frees you from feeling less-than or self-conscious, so that you can focus on what’s important. Are you worried your stylish days are behind you? Shopping is frustrating, because you don’t find anything that works for your age, stage, and body. Your closet is overstuffed but short on options, or threadbare because you never find anything that suits. Either way, you find it a challenge, day after day, to present your best self to the world, and to move through your day with grace, style and comfort. You struggle to find flattering clothes, hairstyles and makeup looks. You flip through Oprah Magazine or Real Simple, search for inspiration on Pinterest, and ask for feedback in your Facebook Bible Study group, but you are still not getting the help you need. So you’ve stopped shopping, stopped looking, stopped trying. You’ve started pretending that you don’t care. You are called to be confident. Why wait another day to feel beautiful? Why I Love to Do This! So, it’s been almost 40 years, and I’m still waiting on those curves. (And inches! I’m only 5’2”). And now, in the last year of my 40s, I’m also at that stage where what I always wore no longer works. My style needs to evolve with my age. Like every other woman over 45, I want to be chic and relevant, yet not overdone. I don’t want to look like I’m trying too hard, but I want to look like I’m trying. Right? Fortunately, though, I’ve spent the past 25+ years in the pursuit of prettiness, and I have solutions. I’ve learned to work with what I have, and flatter my body by picking the right styles, not just the trendy ones. As a fashion and beauty editor, I styled celebs like Jennifer Garner and Nelly Furtado for magazine covers. I published a beauty book. And I’ve spent the past 15 years as a fashion columnist and personal stylist with real women, just like you. You know what I’ve learned after working with hundreds of women? No body is perfect. Not even the famous ones. And no age or stage is without its pitfalls. We can all learn to flatter our bodies and feel chic yet appropriate. You are “fearfully and wonderfully made!” And you can learn to love and dress the body that you have right now, whatever your age, shape or size, just like I have. 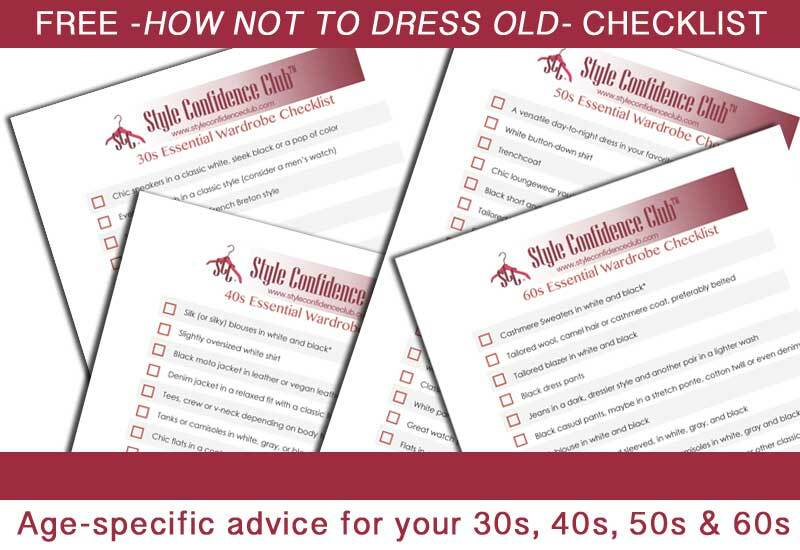 The Ageless Style Confidence Course is a transformative 8-week journey that combines a comprehensive course plus group coaching to help women who are ready to fight frumpiness and feel fashionable again. The course will banish the overwhelm you feel about fashion, beauty, and getting dressed, and give you simple tools to honor, celebrate, and love your style. End the struggle with style and confidence forever. I’m here to help you achieve that same confidence in your style that my clients have, so that you can focus on the areas of your life that truly matter to you, and where you can have the most impact. Since working with and learning from Nada, I feel like I am finally able to put together outfits that really look good on my body shape. I always used to wonder why something did not look right, or I just had no idea how to finish off an outfit. 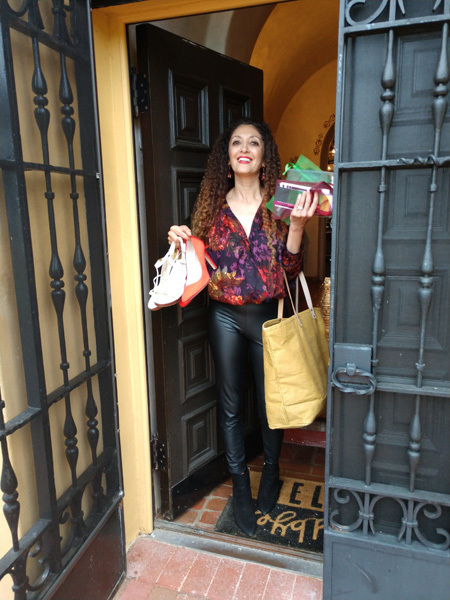 Nada has helped me get rid of the items that do not work for me, shop for the things that will work, and get ideas for how to put together new outfits with the clothes I already have...and of course, shop for new ones. 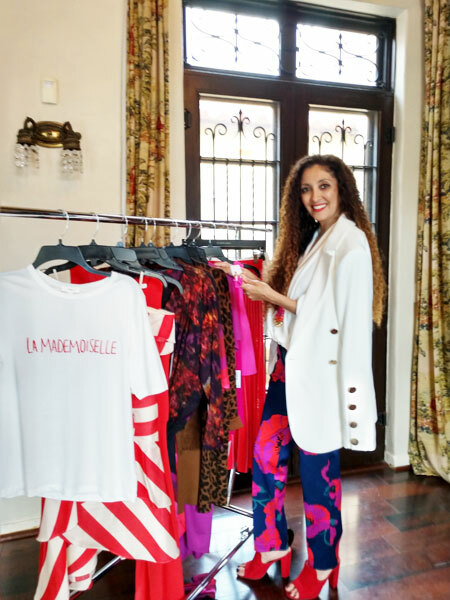 When I first became a Style Confidence Club member, I knew I was looking for those extra undefinable pieces to the fashion puzzle. The ones that would help me to feel more polished and complete, and I have. Already having a good grasp of my colors was wonderful, but I was in a bit of a rut. Nada encouraged me to get out of my comfort zone and put myself out there a bit more. As a “curvy” SD1 I struggled with finding pants and jeans that would fit, but with Nada’s help, I’ve found my go-to’s and can buy with confidence. My SCC membership has been invaluable to me! How will you feel with Ageless Style Confidence? This module begins with a personalized, virtual body type analysis designed to help you maximize flattery and minimize flaws. My body type system works for every body, every size and every age. Yes, even the “complicated” bodies. This critical first step will help you zero in on the silhouettes that will celebrate your shape while downplaying your challenges. And since we focus on shape (not on size) your body type won’t change with your weight. In this module, we dive into the colors that make you come alive, starting with your unique Color Code analysis. This simple system guides you in choosing the best neutrals, main colors and pop colors for your wardrobe, as well as what the breakdown should be. Once you’re confident with your go-to shades, you can use them to shop for flattering makeup, clothes, and accessories. Shopping becomes more focused and more effortless! Your closet should be free of clutter and complications. 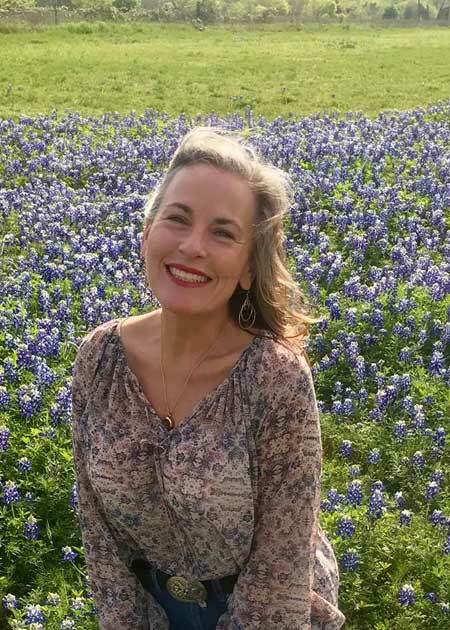 In this module, I will show you how to eliminate the items that no longer serve you, the items that don’t fit, or flatter, or function for your lifestyle. And finally release the items that never worked for you. Why start every day staring at a closet full of mistakes and disappointments. I’ll show you how to edit, clean and organize your closet and make it a haven where getting dressed is a pleasure. The struggle is real! I know the challenge of dressing fashionable, not frumpy, chic, but not like your showing off or trying to seem “too young”. We all want to feel and look comfortable and appropriate for our age and stage, but still have a wardrobe that is stylish, relevant, and polished. Closely linked to age, lifestyle will dictate the types of clothes you need in your everyday life, and is an essential element to building a confidence capsule in the next module. In this module, I’ll talk you through the process of creating a personal, versatile, stylish wardrobe that works for your age, your lifestyle, and your budget. First, we shop in your own closet, and then we combine these items with age-appropriate, fabulous-not-frumpy essentials that will enable you to create multiple daily looks and simplify your life. We’ll create a simple shopping list to use in the next module. Armed with new self-knowledge and a curated list of essentials, it’s time to go shopping. In this module, I’ll show you where to shop, what to buy, and what to look for to make the process of filling in the gaps in your wardrobe as simple as possible. We will cover how to make the right choices for your body type, personal style, and your lifestyle, every time. Also, learn how to shop online for the best fit and style, all within your budget. No outfit is complete without accessories, and in this module, we’ll dive deep into the finishing touches. From knotting a scarf to choosing chic, yet comfortable shoes, you will learn how to bring polish and personality to your look through a well-chosen wardrobe of accessories. We’ll talk about the 16-point accessory rule, how to know when enough is enough, and the mistake that many women make with accessories that makes them look instantly older. We all need simple, straightforward routines to feel and look our best every day. Let’s start with hair. To color or not to color? That is the question, and we’ll discuss care, cuts and styling techniques to keep your hair chic and manageable. Then we’ll discuss how to choose and use a skincare regimen to keep your skin fresh, glowing and healthy. Finally, you’ll find makeup tutorials and recommendations to achieve a pretty, polished look without a lot of time (or money!). Ageless Style Confidence can be yours in 8 weeks! Don't wait another second to get started! Signup and receive these exclusive bonuses! I’ll host weekly workshops where we dive deep into a specific area of your style. These are personalized and highly interactive, with optional pre-work and homework. You will also be able to submit your questions and get detailed feedback, suggestions, and links to specific items and resources. Additionally, we will choose a “Style Star” each week, and that person will have the opportunity to go live with me in the workshop to discuss her specific needs and challenges. 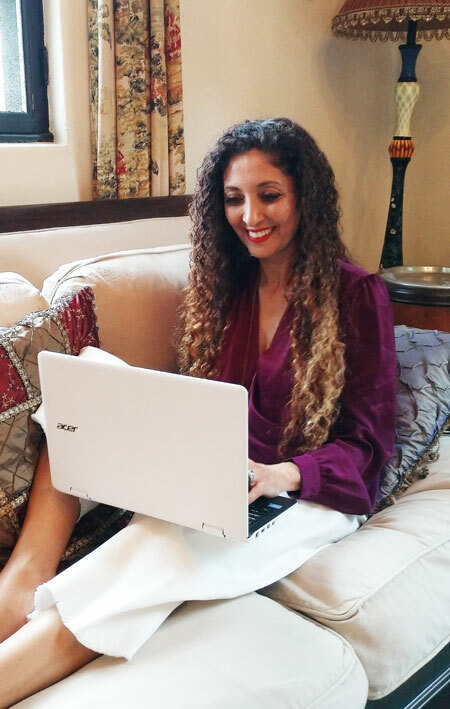 We will meet in my private Zoom room for a full virtual style consultation, where we can discuss your body type and color results, tackle any struggles you may have and leave you with an action list of items to advance your style confidence. You’ll get a beautiful set of Color Code Swatches to carry with you wherever you go, as well as detailed guidelines on using them to build a wardrobe and to select makeup shades. It’s like having me with you! These swatches will be sent to you after I’ve completed your Color Analysis, and after the first week of the course. Since being a part of the Style Confidence Club I have learnt what colours suit me, what styles I should or should not be wearing, how to clean out my closet, how to wear accessories, numerous style tips. I’ve even made some new friends along the way, I love this group! Nada has been there for me all the way, thank you so much Nada. It's great being in a group of caring and supportive women, and Nada is such a lovely and helpful person. Being part of the Style Confidence Club has made me more confident; I'm learning a lot and finding fashion less frustrating. I love your passion, Nada! even on days when I feel frumpy and want to give up, I can come here and be inspired by your JOY. You're always so quick to give little tips and never make us feel like we're asking stupid questions or that we're bugging you. I most love that you're a mom yourself, so you get how busy moms are and don't make unrealistic suggestions! Before I started working with Nada, I felt frustrated and overwhelmed whenever I tried to go clothes shopping. I ended up buying too much and not wearing most of it because it didn't fit or flatter me. I had so many clothes but always felt like I had nothing to wear. Now I enjoy getting dressed and feel confident in my choices, because I know what works for me. I’ve finally found a group of like-minded women who I can connect with! Being in the SCC group & being coached by Nada has helped me grow so much over the past couple of years. I’m so glad I connected with her and everyone in the group! 🙂 I found a calling for a career in fashion sparked by being in this group. Thanks, Nada! I have worked with Nada since last winter season. Nada is very sensitive to each woman's fashion likes & dislikes.She chooses clothes from your favorite colors. She meticulously picks styles from YOUR price range, your best styles for your body type & your color palette.She is aware that some ladies are on a limited budget & suggests how to up date your wardrobe with a bag, scarf , shoes or a piece of jewelry. She often tells women go Target. Being in the Style Confidence Club has given me hope. Hope that, even on the messiest, busiest, most exhausting days as a mom, I can come here and find encouragement to re-group to look my best. This group has shown me that it is not only 'ok', but GOOD to focus on myself and try and reach my best beauty potential! Victory! I went clothes shopping tonight- for a looooong time- and I didn't have a panic attack in every store! I knew what neckline to look for, what colors to avoid, and even what types of shoes to get for my upcoming trip to FLORIDA! Nada, you truly are a miracle worker! This is the type of work she can do, people! Emotional support for those of us who need it when we clothes shop. My insight is that it is all about how much a woman learns, how much knowledge she has. I feel I’ve learned a lot from your articles and videos and if I follow the information you’ve taught then I’ll do pretty well. If a woman can learn how to get her COLORS RIGHT and her STYLE DIAL RIGHT, she has the knowledge about how to choose flattering clothes. Add to that your advice- "shop the right brands, at the right stores". You give all that information out on your website and videos so a woman could really be on her way. I am forever thankful for your expertise in fashion. I feel more confident and stylish with all my new clothes you helped me select on our shopping trips. I receive so many comments on my new styles and my family loves it too. I have also learned from you which styles are appropriate for my body and age, also the best colors for my skin type. How many pairs of shoes will this set me back (ie. what does it cost)? Oohh… good question. I relate everything to shoes too. This course is transformative and should start saving you money right away. I made it affordable – about the cost of an average shopping spree: $497. Pause your shopping for a few weeks (the duration of this course) and you will find that it will pay dividends for the rest of your life. Or, spend your monthly clothing allotment, about $175, and grab the course in 3 easy payments. 1-on-1 with Me - 45-minute live video call to discuss your analysis results and style challenges. 8 Magnificent Modules - See quick changes and terrific transformations in your style as we work through the 8 weeks together. Each module covers one core concept in your personal style transformation, from flattering your figure to conquering your closet. 8 Wonderful Workshops - Every week, in our secret FB group, you’ll be able to hop into a live workshop, where I answer your questions and offer real-life solutions. You can also share pictures, ask questions and get feedback from this group for the duration of the course. Plenty of Printables - Since success comes from doing, and not just viewing, each module is full of printables, tools, and resources to help you maximize your style transformation. Have any questions about the course? Please send me a message by filling out the form below and we will get back with you shortly. Want to schedule a time to chat? Click here! On average, my readers spend between 00-200 dollars on clothing/beauty/self care a month, and many of this money goes to waste on purchases that miss the mark and hair and beauty services that fail to help you feel fabulous. My suggestion? Stop shopping. At least until you’re done with this program. If you took the money you might be spending on clothes, and instead invested in a style system, you would reap the benefits of confidence and clarity in your style for years to come. And save the money you would have wasted on purchases that didn’t help you live up to your style potential. You are probably already spending time on your style, and much of that time is wasted in a frustrating fight with your closet for that day’s outfit. While I guide you and cheer you on through all 8 modules in the Private FB group, you will have access to the course for life, so that you can consume the content at your own pace, and work through the modules at a schedule that works for your busy lifestyle. The color and body type flattery concepts presented in this system are contemporary, cutting edge, and truly transformative. They are an update on the tired, often flawed systems of decades past. Plus, color and body type are only the first, foundational steps on your journey to style confidence, as we work through 8 complete modules together. That depends, but it starts with shopping for “free” in your own wardrobe. As we work through parts 3 and 4, and develop a plan for your wardrobe, you’ll see many of the pieces you already own in a new light. 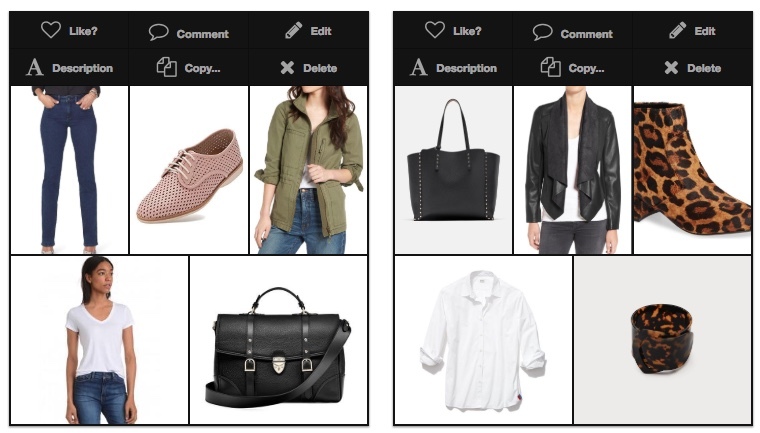 Then we’ll create a shopping list to fill in any gaps (usually basics that tie multiple looks together), and you can shop for those in your own time, on your own budget. Ooh, good question! I like to joke that I’m blessed to be able to do what I do, because it’s literally the only thing I have ever done with my career. I was a fashion and beauty editor for magazines for 15 years. I wrote and published a beauty book and have interviewed hundreds of hair, makeup and skincare experts over the years. And for the past 10 years, I’ve worked as a fashion columnist, a style blogger, and a personal stylist. During that time, I’ve overhauled hundreds of closets and spoken to countless groups, from a MOPS convention to an osteoporosis meeting. Within 7-days of purchase of the AGELESS STYLE CONFIDENCE COURSE, if you decide this isn’t right for you, I’ll give you a full refund. I want to make sure you have a valuable experience. Personal video consultations are only available after the initial 7-day period. Are you ready to experience the transformation that comes from truly feeling confident in your style? Get these EXTRA bonuses if you're the first 10 to join and pay in full! 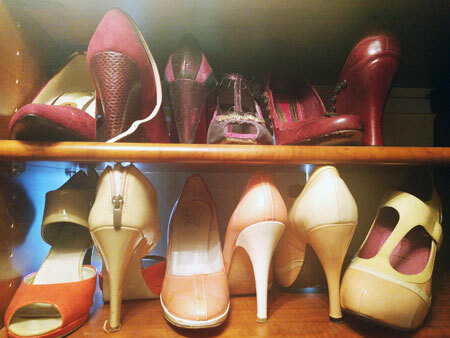 I will personally assess your wardrobe, and offer guidance on a color palette and personal style. I will then send you a shopping list of 10 items that will round out your wardrobe, help increase its style and versatility, and fit your body type and budget. These items will be unique and specific to your wardrobe and needs. Using items from your wardrobe, I will create a Spring/Summer Lookbook for you featuring 10 stylish, polished outfits. Hey there! I know you may have felt that you’re the only one who finds style a struggle, but I’m here to tell you that you are not alone. I’ve worked with more than 1000 women over two decades, and I’ve learned that we all struggle to find peace with our style, no matter our age, body type/size, or budget. We are all trying to feel effortlessly beautiful, day after day. 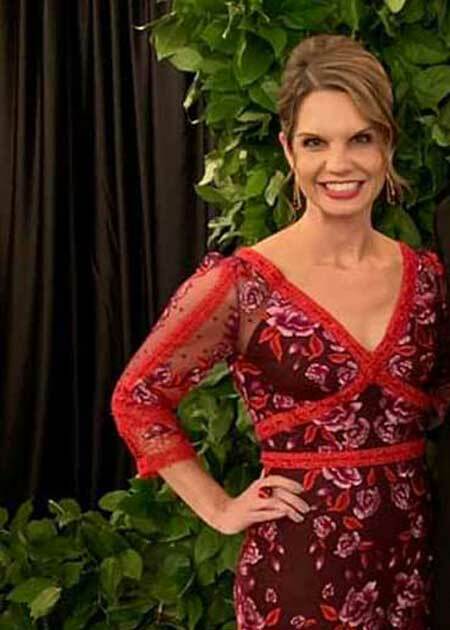 I'm moving into a leadership position where I’ll interact with the public and realize I don't really know how to dress for my position, age (49), body type. I’d like to look stylish, professional, age appropriate, and be comfortable. I haven’t been shopping for clothes lately because they don’t fit right. I’m not happy with the clothing choices I’ve made in the past. I don’t know how to dress for my age (55) and shape). I am 56 years old. I do not want to dress like I am 30 or 40. I like to wear what looks great on me. I’m in my late 50s, but look and feel so much younger. I struggle with what to wear, as I don’t want to look frumpy. I’m 78, and I’ve gained weight due to back problems. I want to look fashionable, but it’s hard to find clothes in women’s sizes without looking frumpy or just plain ridiculous. How can I camouflage my belly bulge and still look stylish and classy? I am honored to get questions like this from women like you, women around the world, every day. 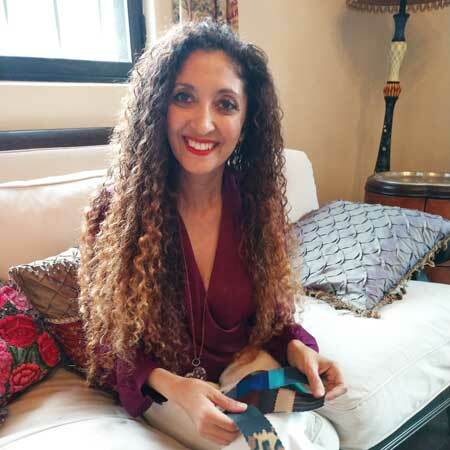 Helping women reconnect with their stylish selves is my mission, so bring your questions, your dilemmas, your challenges. (It’s hard to stump or surprise me.) Together, we can move mountains, style-wise, to get you back on track. Are you excited to experience a clear, clutter-free closet full of outfits that fit and flatter you? To look forward to social events and work commitments because you have just the thing to wear that will help you feel confident and relaxed? And the comfort of knowing that the styles you wear suit your age, stage, and lifestyle. Style confidence can truly be ageless, because style has no expiration date.